Today's leaders need more than a great resume, they need Presence - the ability to connect, inspire and influence others at all levels. In this 90-minute workshop, we'll describe three elements of Presence that apply to everyone, regardless of your role, that can easily be learned and refined. You'll leave with some tips and techniques for creating a positive first impression, enhancing your verbal presence, and being intentional about connecting with others. Learn to make a memorable connection without self-promoting. 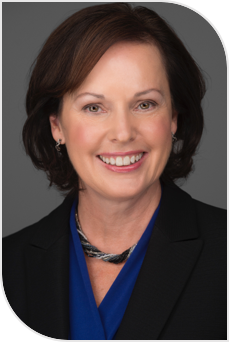 Angie O'Donnell is an executive coach with nearly two decades of international business experience that included expatriate assignments in Zurich and Hong Kong while in the financial services industry. In 2002, she became an entrepreneur and co-founded 3D Leadership Group, a boutique executive coaching firm based in Wellesley, Massachusetts. In 2013, Angie was recognized as the New England Executive Coach of the Year by her peers at the International Coach Federation. Most recently, Angie has coached leaders at Amazon Robotics, Biogen, Boston Private, Crane Currency, The Broad Institute, Charles River Associates, John Hancock, Kronos, McGraw-Hill, Novo Nordisk, Partners Healthcare, and Progress Software. She coaches in the executive education programs at Harvard Business School, Babson College, and Bentley University. Her pro-bono work includes coaching for the Massachusetts State Police, the Social Innovation Forum, and serving as a mentor coach for two professional coaching schools. Click here for Angie's full bio.